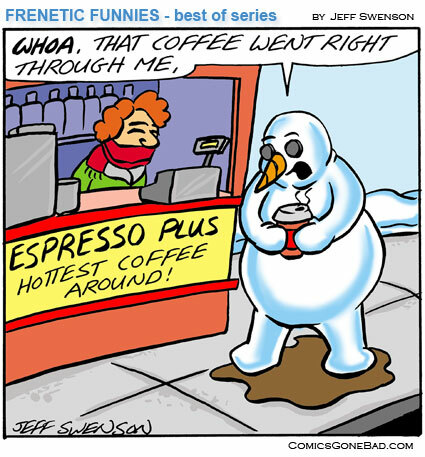 Suprisingly enough, this snowman cartoon has made it onto an actual espresso stand. Under the glass counter amongst other cartoons. I love shops like that with an independent spirit.